Eye Movement Desensitization and Reprocessing (EMDR) is a well-researched, effective form of psychotherapy for trauma developed by Francine Shapiro, Ph.D. The EMDR method integrates concepts from cognitive, somatic, and affect-oriented experiential therapies; it is not just "talk" therapy. Treatment methods that focus on talking about our problems to gain insight are often not sufficient to fully heal from trauma, because traumatic memories exist in state-dependent form. This means that insights gained while in an analytic state of mind may not link with the fight/flight/freeze state of mind that still gets activated by triggers reminiscent of the original traumatic experience. Before I received my EMDR training, I noticed that trying to convince clients that they were mistaken about trauma-induced negative beliefs just did not work. While they could grasp what I was saying on a cognitive level, it did not change the way they viewed themselves. With EMDR, it sunk in on a deeper level. Adaptive information processing theory states that we all have the capacity to heal, but overwhelming life experiences can cause us to become stuck. According to this theory, an adaptive information processing system built into our nervous system helps us to digest our experiences, determining what is useful and discarding the thoughts, feelings, sensations and physiological arousal that are no longer needed. When stressful situations overwhelm our adaptive capacities, we need help jump-starting our adaptive information processing capability. EMDR is a therapy method that helps us to digest experiences that we were unable to absorb when the events originally occurred. New information, based on subsequent experiences, is linked to the original events and resulting beliefs, feelings and body-based symptoms utilizing dual attention stimuli (DAS). This facilitates putting traumatic experiences into an adaptive perspective so that they no longer interfere with life in the present. DAS consists of eye movements, sounds, taps or vibrations that alternate back and forth from one side to the other side of the body. One theory is that focusing on a distressing memory and a neutral visual, auditory or tactile stimulus at the same time facilitates adaptive reprocessing. Recent research findings* support the idea that pairing traumatic memories with a competing neutral stimulus can help interrupt overconsolidation of memories believed to cause flashbacks. If you are looking for therapy to heal from trauma, EMDR may be the answer for you. If you are considering EMDR therapy and have additional questions, feel free to contact me, Andrea Goldberg, via EMDR@andreabgoldberg.com or call me at 973-748-0045. I’d be glad to talk to you. 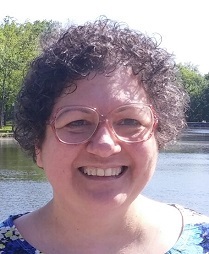 To learn about Eye Movement Desensitization and Reprocessing (EMDR) therapy, DorleeM interviewed Andrea B. Goldberg, LCSW, for her Social Work Career Development blog. Andrea Goldberg is an EMDRIA approved consultant in EMDR therapy. She has experience providing individual and group consultation to EMDR Institute and Trauma Recovery EMDR HAP trainees and to EMDR clinicians seeking to enhance their skills and work towards EMDRIA certification. She is available to provide EMDR consultation in person, by phone and by HIPAA-compliant video conference. helping clinicians who are having difficulty integrating EMDR into their practice.